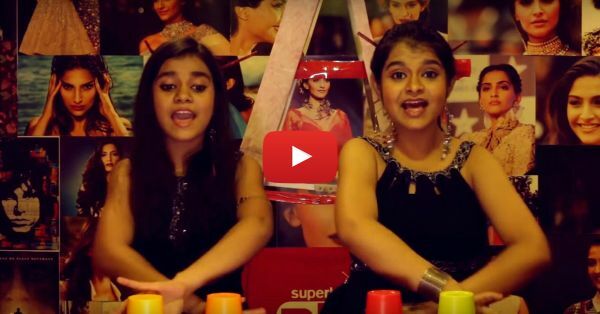 Ankita & Antara Nandy Create MAGIC With Their Voices... Again!! As we know, it was Sonam’s birthday recently and her dad Anil Kapoor had a beautiful message for her! So, then, how could her fans stay behind?! These girls, Ankita and Antara Nandy, had an amazing surprise in store for their favorite superstar. You might remember Antara Nandy from “Sa Re Ga Ma Pa Little Champs”, but this time she’s not alone. She’s creating pure magic with her sister by singing a capella versions of Sonam’s songs from Saawariya to Khoobsurat. So what are you waiting for? Watch the video and have your mind blown by them! PLUS: Subscribe to POPxo on YouTube for original videos + our favourite videos from around the web! MUST-READ: Shirley Setia Singing Sab Tera & Soch Na Sake Is SO Beautiful! MUST-READ: This Soulful Cover Of Kun Faya Kun Will Give You Goosebumps!